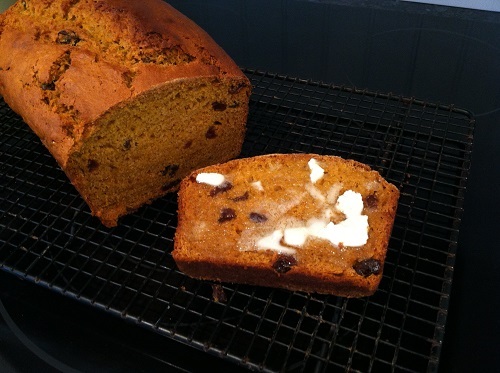 I made pumpkin bread with my pureed pumpkin from last year’s harvest. Yes, I admit it, it’s been frozen for a year and I still used it. I have no idea the recommended time frame for freezing pumpkin but the bread turned out great. 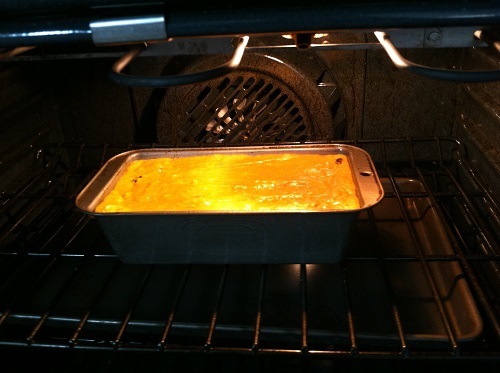 I used my trusty The New Good Housekeeping Cookbook for the recipe. It makes one, very large, bread. Doesn’t it make you want to make some? And, while I was on my excursion to purchase donuts the other day, I stopped in at Home Goods after a tip from my friend, Lisa, that they had dress forms there. Who knew Home Goods would have dress forms? Exactly what I wanted/needed for displaying and photographing my handknits! (that is my Citron shawl). I resisted the urge to shop around…they have a lot of good stuff there. It could have been bad. But then again, I’m having a tag sale this Sunday, so there will be a little more room here for “stuff”. More knitting to come….it’s been a little boring since I’ve only been working on my Ecuador sweater. To clarify, I’m not bored. But you might be, seeing my creeping-along progress. 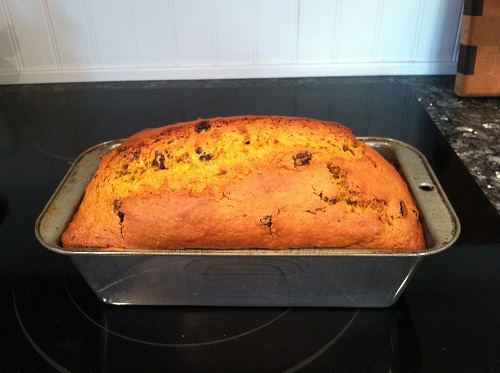 Posted in Uncategorized and tagged citron, ecuador, pumpkin bread on September 27, 2013 by lizytish. End piece is my favorite too! Looks delicious! Where is your tag sale? I’m on my way! 🙂 Looking forward to some of that pumpkin bread AND starting a knitting project …and, eating some of Frank’s donuts for Kathy Y. and Jer hahaha :D.